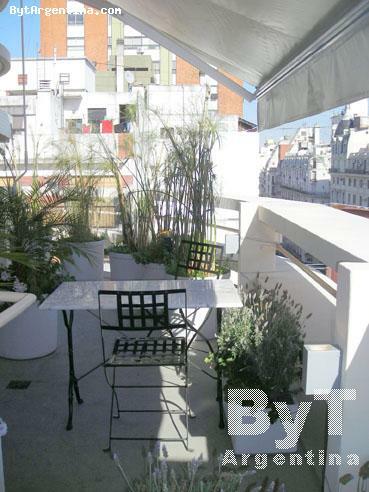 This beautiful apartment stands out for its lovely terrace facing the street with a lot of plants and sitting area. 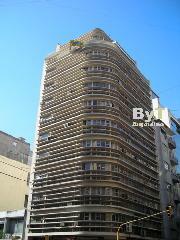 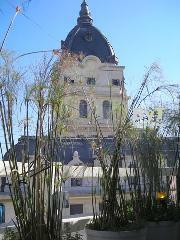 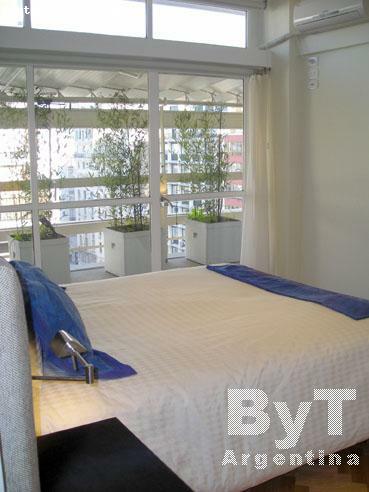 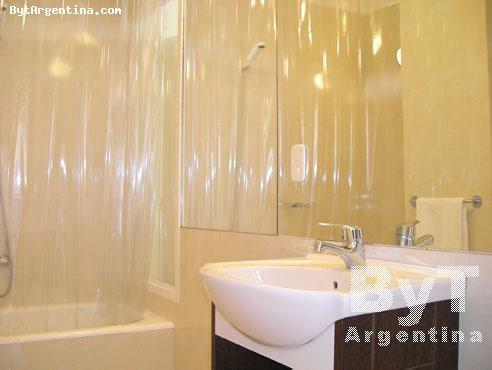 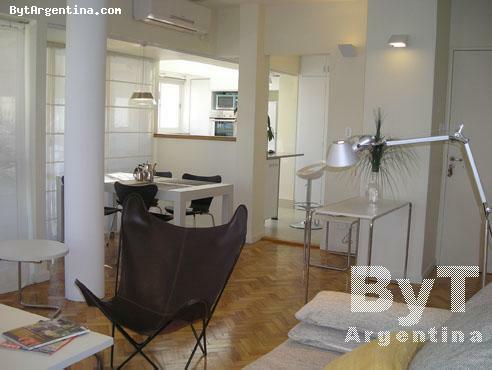 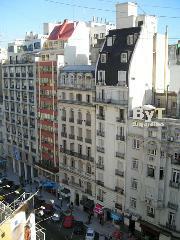 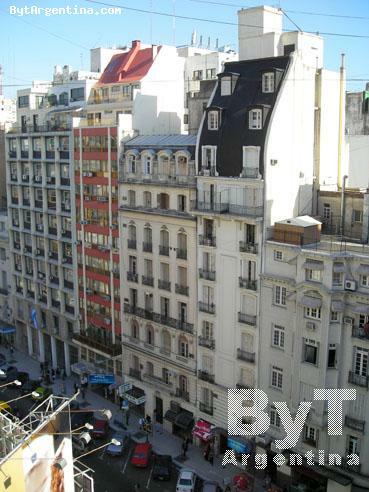 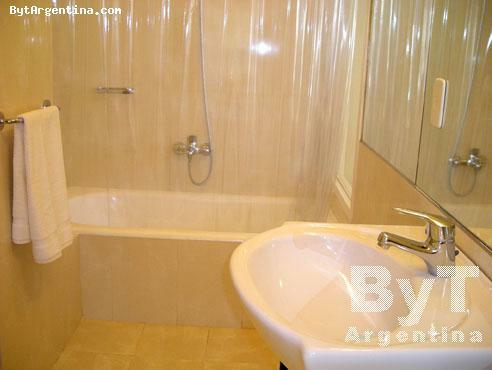 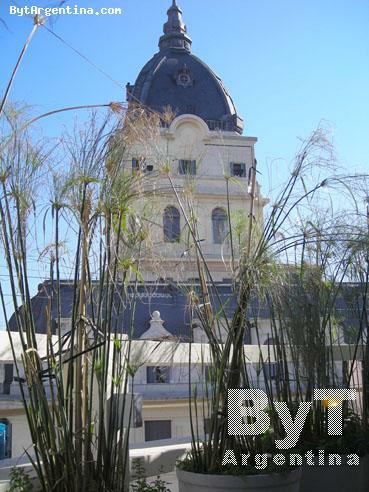 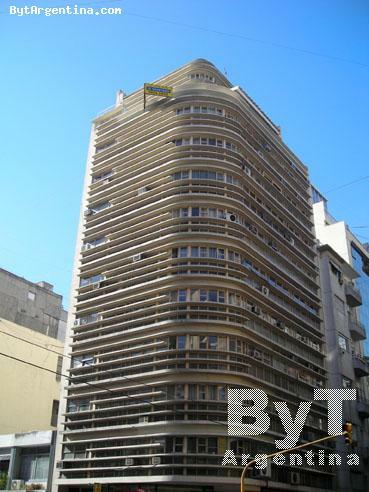 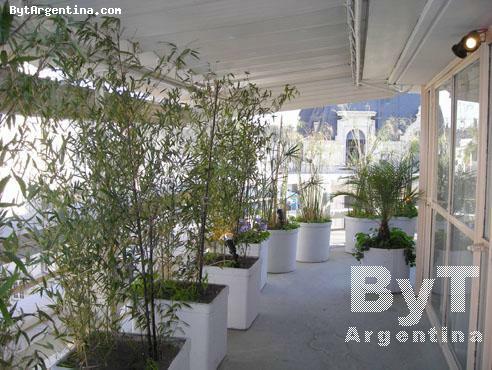 It is centrally located on the Buenos Aires´s downtown, three blocks away from the Corrientes avenue and three blocks from the famous 9 de Julio avenue. 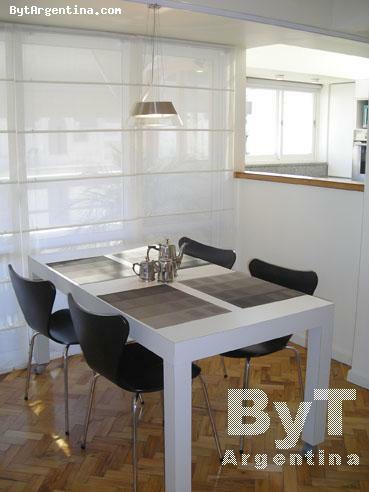 The flat offers a bright living-dining room with a sofa-bed and a dining table for four people with nice design furniture, one bedroom with a queen size bed, an equipped american kitchen (connected to the dining room) and one full bathroom. 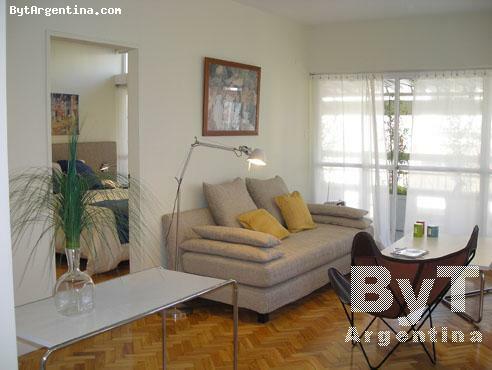 The apartment is equipped with Internet (WiFi), cable TV, DVD, stereo, central heat, air conditioning, fridge with freezer, microwave, dishes, kitchenware, linens and towels. 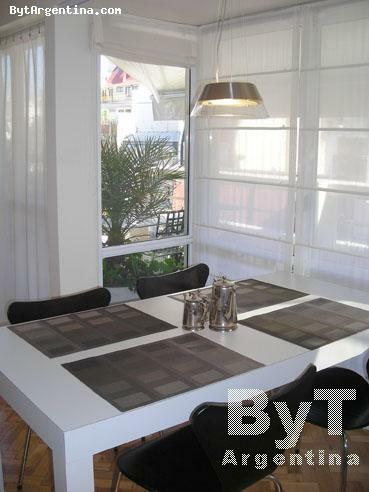 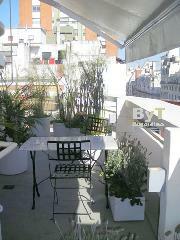 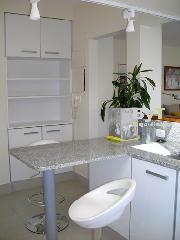 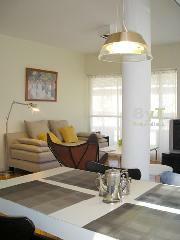 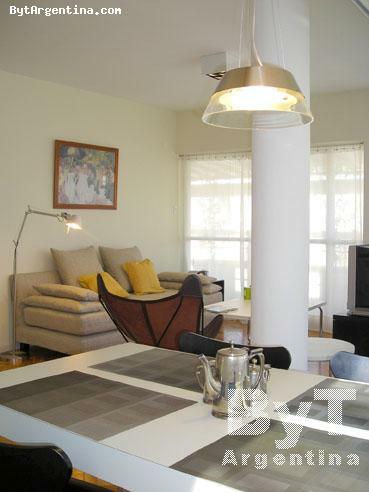 A great option, very comfortable with a sunny private terrace (30 mts2). 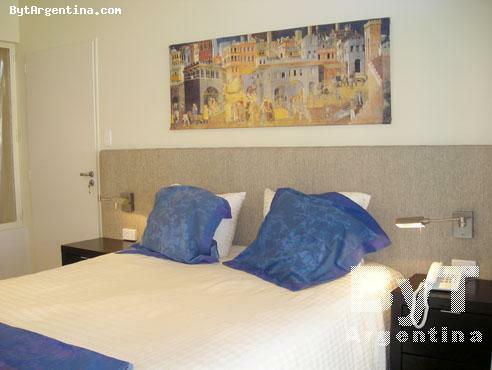 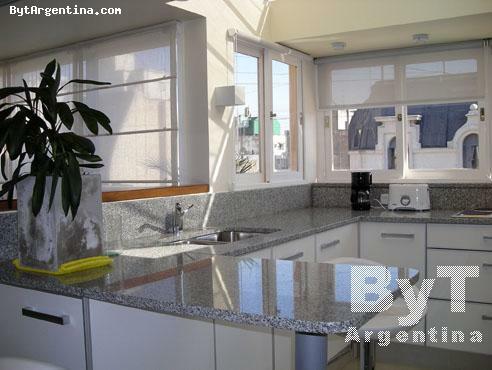 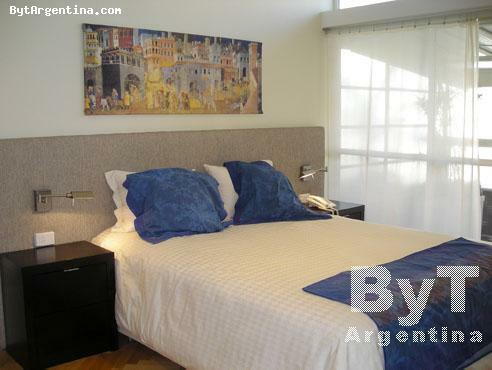 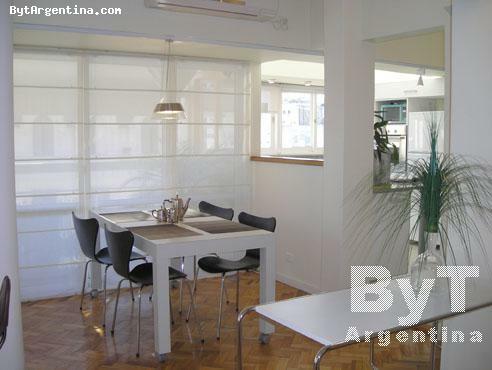 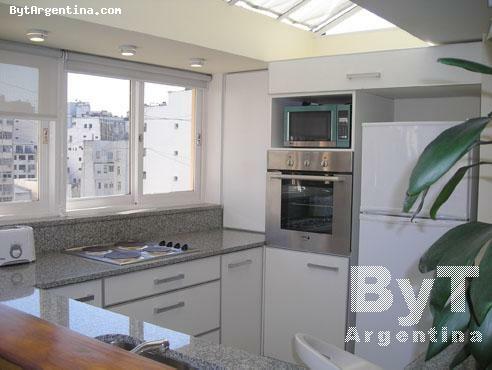 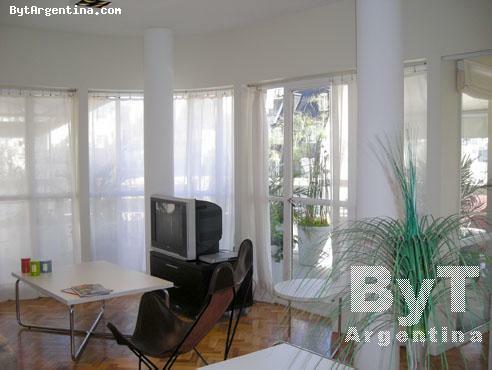 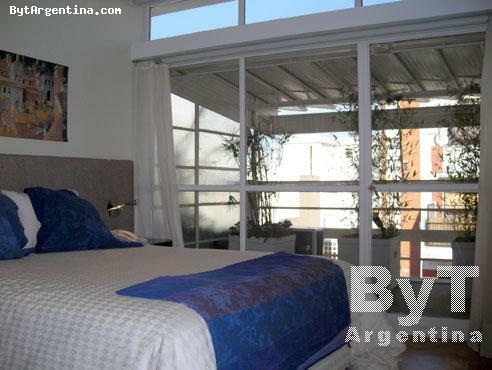 NOTE: this apartment is next to the apartment called Uruguay and Viamonte and there is a door that communicate them, could be ideal for groups travelling together.